Hone your skills with the Interdimensional Skirmisher. Apex Legends released Monday on the PlayStation 4, Xbox One, and PC as the newest Battle Royale set in the Titanfall universe. Prior to the start of a match, players choose from eight class-based characters—each equipped with their own unique set of abilities. 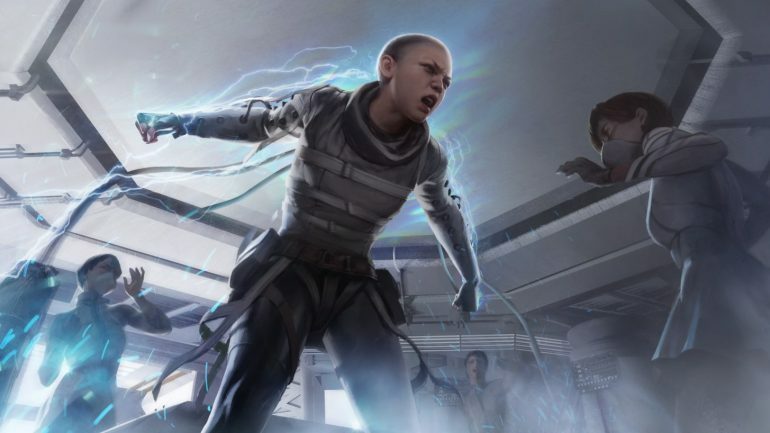 As a stealth-based class, Wraith uses her abilities to travel through dimensions, hiding from enemies and allowing allies to travel through portals to reach different areas of the map. Wraith can be difficult to figure out at first, but with enough practice, players can use her abilities in succession to catch opponents off-guard and dish out massive damage. With her passive ability, Wraith will occasionally hear voices alerting her of her surroundings and nearby enemies. The voice will only speak to Wraith and will reveal limited information, such as when an enemy has targeted her but not their exact location. Players can use Wraith’s passive to know when an enemy team is nearby. One of Wraith’s largest strengths lies with her Q, which grants her temporary invisibility and invincibility. The ability lasts three seconds, allowing Wraith to move faster but featuring a 19 second cooldown. The ability cannot be canceled and Wraith cannot shoot while in the void, so players need to be sure to cast the ability when it’s most appropriate. Wraith’s ultimate ability places a portal that allows players to travel short distances. Wraith chooses the opening of the portal and can then choose the portal’s end upon second cast, but she must first travel to a separate location to place the second point before the portal can be used. Wraith only has a limited amount of time to place the portal, as indicated by a yellow energy bar while casting the ability. During this casting time, Wraith is susceptible to enemy attacks, so players must be sure to carefully choose when and where to place portals. Both Wraith and her teammates can use the portal once she sets one down, but the portal can also be used by enemies. Players can use the portal to flank opposing squads or to avoid taking damage. Portals last for 60 seconds and can be entered from either side. The longer the portal, the longer it takes for players to travel from one point to the other, although the travel time is relatively quick regardless. To fully take advantage of Wraith’s abilities, players should know the best locations within their vicinity to place portals. This skill requires both knowledge of the map and situational awareness. Wraith can also use her abilities in succession, casting her Q while placing portals and allowing her a few seconds of safety.